My 2006 book was awarded the 2007 John Porter Tradition of Excellence Book Award from the Canadian Sociological Association. It is available from University of Toronto Press and copies can be ordered from online bookstores including Chapters/Indigo, Amazon Canada, Amazon UK and Amazon USA. 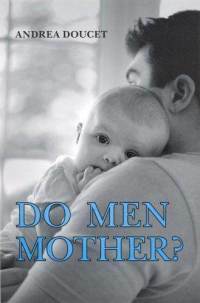 Download the first chapter of Do Men Mother? Learn more in my press interviews (below) and read recent reviews in the Journal of Marriage and the Family (pdf) and Men and Masculinities (pdf). More and more, fathers are deciding to stay at home and care for their children rather than work full-time outside of the home. More and more, Canadian families are lead by single fathers. Shining a spotlight on the lives of stay at home dads and single fathers, Do Men Mother? 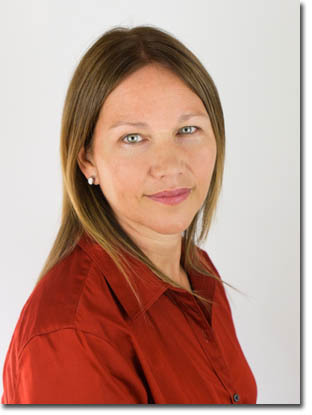 provides groundbreaking evidence of dramatic changes in mothering and fathering in Canada. Using evidence gathered in a four-year in-depth qualitative study, including interviews with over 100 fathers—from truck drivers to insurance salesmen, physicians to artists—Andrea Doucet illustrates how men are breaking the mold of traditional parenting models. Doucet’s research examines key questions such as: What leads fathers to trade earning for caring? How do fathers navigate through the ‘maternal worlds’ of mothers and infants? Are men mothering or are they redefining fatherhood? Do Men Mother? illuminates fathers’ candid reflections on caring and the intricate social worlds that men and women inhabit as they ‘love and let go’ of their children. In asking and unravelling the question ‘do men mother,’ this study tells a compelling story about Canadian parents radically re-visioning child care and domestic responsibilities at the beginning of the twenty-first century. Do Men Mother was featured in the Washington Post, the Chronicle of Higher Education, the National Post, the Ottawa Citizen, Reader’s Digest, Macleans magazine, Chatelaine, Today’s Parent magazine as well as on CBC national radio and television (e.g. The National, Sounds like Canada), the TVO show, the Agenda, and national and regional CTV television programs. Thank you for your excellent book. Even though I have been reading in this area for quite some years I found there were many ‘ahah’ moments that led me to recognise dynamics that are often brushed over. An important book, well done!